You are here: Home / Arts / A Spring of Music 2015 in Victoria BC. March-May. 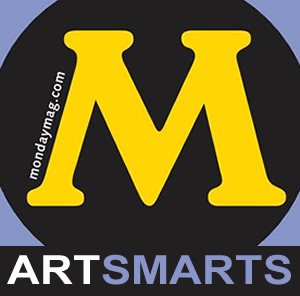 Regular readers of my Monday Magazine column and this website know that I have a wide interest in the arts; it spans not only theatre but music, art and dance. In fact when my children were young (and taking piano and trumpet lessons) our arts experiences were mainly focused on concerts with the University of Victoria School of Music events being some of our favourites. In recent years I have come to know many musical theatre artists given my association with the Canadian College of Performing Arts, and due also to the cross-over nature of arts practice in Victoria. I also have an interest in “new music” and have become acquainted with a cadre of composers and musicians since attending events related to the Cage 100 Festival celebrations in 2012. As a former choir member I try to stay marginally aware of interesting choral concerts too. Here’s my curated list of music events for the period March-May 2015. There is truly something for everyone, from Broadway hits to family-friendly musicals, young-adult choruses, classical music, new music and vocal explorations presented by the Canadian College of Performing Arts, Victoria Symphony, Victoria Operatic Society, Pacific Opera Victoria, Four Seasons Musical Theatre, Open Space Victoria, A Place to Listen, University of Victoria School of Music, Sing Your Joy!, Oak Bay Music, and the Victoria Bach Ensemble. This list is by no means exhaustive. I’ll add other events as I become aware of them. performances by the Victoria Symphony, UVic’s Sonic Lab, the Emily Carr String Quartet and Vox Humana. and excerpts from works by Saint-Saëns, Parker and W.A. Mozart. Infectious folk gypsy jazz with classical & crossover. Trio Dinicu is in town from Los Angeles for a ‘Music by the Sea’ fundraiser. This is a rare opportunity to see them in a small (60 seat) house concert setting. Even before their CD release in 2013, Trio Dinicu has been gaining much attention. The performances of these three internationally acclaimed artists feature folk music, gypsy jazz specialties and also their own original compositions. Musically, they blend the depth of classical training with the spontaneity of jazz and the excitement of European folk tradition. With Douglas Hensley, theorbo, soprano Anne Grimm, Soile Stratkauskas, baroque flute, Ann Fraser, baroque violin, and Martin Bonham, baroque cello. Performing music by Handel, Scarlatti, Vivaldi, and Monteverdi. An eclectic evening of contemporary works for jazz ensemble, including a rare performance of the Ebony Concerto by Igor Stravinsky. The A Place to Listen Ensemble will be presenting a selection of works from Christians Wolff’s Prose Pieces, a hugely influential collection of text based scores by one of the most important voices from the American experimental tradition. Voice ++ is Open Space’s festival that focuses on the exploration of the human voice and its intersection with sound and music. 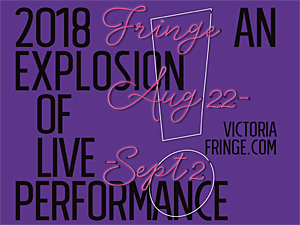 This year’s festival is our 10th installment and includes all the favorite elements from our past festivals: a workshop, improvised music for voice, voice and electronics, art song, contemporary vocal techniques, one-woman operas, and a performative lecture. True to Voice++ was have invited three artists who are pushing boundaries and presenting experimental work. 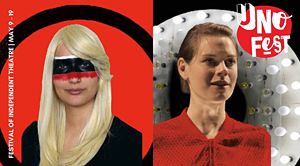 Voice++ 2015 will feature the work of Tomomi Adachi, Janice Jackson, and Erik Bünger. A delightful operetta where fairies interfere in the lives of the Peers of the British Parliament with magical results. IOLANTHE is the seventh of the Gilbert and Sullivan collaborations and is their most charming with arguably some of the best music Sir Arthur Sullivan ever wrote. Don’t miss this extravaganza. Fairies in Fairyland in their beautiful fairy costumes, peers of the realm in all their splendour, Sullivan’s phenomenal music, which is all “held together” by our Maestro George Corwin and a 13 piece professional orchestra. Come and enjoy exuberant choreography by Heather Elaine-Day and stage direction by our imaginative Jennifer Hoener. Guitarists Adrian Verdejo, Bradford Werner and Michael Dias will perform a blend of European Renaissance vocal music arranged for plucked strings and lyrical 20th/21st Century works by West Coast composers. March 25, 8:00 p.m. ($15 & $10) Strings, Stars & Voices! Singing songs of Spring and the Easter season. 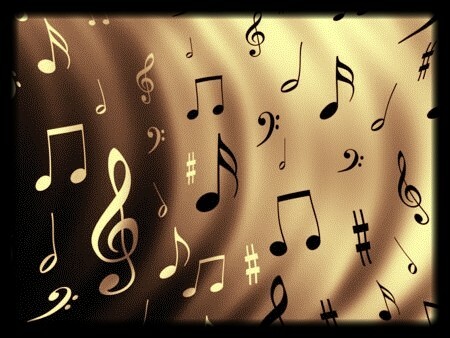 A selection of musical favourites from the first 10 years of the Don Wright Symphonic Winds. Carli and Julie Kennedy (B.Mus ’08) return as country music duo Twin Kennedy to present a CD Release concert that blends their classical training with their country roots. MADAMA BUTTERFLY Pacific Opera Victoria. A young geisha renounces her family to marry an American man. When he leaves to go back to his own country, she waits with their child for his return. Time Warp, Sing Your Joy! In concert. Victoria’s only young adult non-auditioned chorus in their annual spring concert (look for another performance in December). Michael Burgess in concert unfortunately due to illness, this concert was cancelled. Few people in Canadian entertainment have had the impact of Michael Burgess in the last decade. His major theatre credits includes the role of Jean Valijean in “Les Miserables” at Toronto’s Royal Alexandra Theatre (Dora Award Nomination), The Concert at Skydome and the first national Canadian tour and the Tenth Anniversary Concert at Royal Albert Hall, London, England. 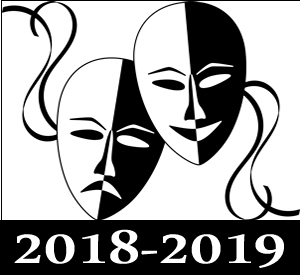 Other major performances include “Man of la Mancha”, “Blood Brothers and numerous starring roles throughout Canada and the United States. Besides appearing off Broadway, Michael has appeared with the Stratford Festival, The National Arts Centre, Charlottetown Festival and Citadel Theatre to name just a few. More than a concert series, A Place to Listen is about creating a space. A quiet place where, for an hour or two, one can be deeply attuned to something. Nothing spectacular or sensational. Just some tones and some silence. In our current culture of hyper-stimulation and saturation—which attempts to colonize our imaginations and demands that we not look too closely, or feel too deeply—this kind of musical practice is, for me, essential. It feeds a part of us that, more and more, we are learning to neglect. The part that needs quiet. A Place to Listen is thrilled to be hosting American pianist R. Andrew Lee for the 7th concert of our season. Over the last few years, Andrew has released 7 cds devoted to large scale, minimal piano works by living experimental music composers, including Wandelweiser composers Jürg Frey and Eva-Maria Houben. Andrew’s cd Eva-Maria Houben: Piano Music made the New Yorker’s Top 10 Classical Recordings of 2013, and his recording of Dennis Johnson’s November was named Time Out NY’s #1 Classical CD of 2013. Smokey Joe’s Cafe is a musical revue showcasing the fabulous songs of Jerry Leiber and Mike Stoller. 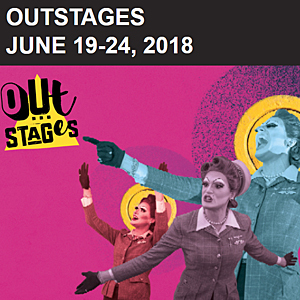 This fantastic production will bring the Broadway classics of New York to Victoria to showcase the singers, dancers, and actors who will become some of the country’s top emerging stars. Now in its 11th season, the Victoria Bach Ensemble returns with an exciting program of instrumental and vocal works. The ensemble, founded by trumpeter David Barss and keyboardist Michael Drislane, features outstanding local musicians committed to spirited performance. Along with such perennial favourites as the Brandenburg Concerto No.5, the concert will feature selections from two of Bach’s beautiful Church Cantatas, and the world premiere of Drislane’s new version of The Musical Offering for winds, strings and harpsichord. The Musical Offering was dedicated to King Frederick the Great, and is one of Bach’s finest late works, featuring the greatest trio sonata ever written, and a miraculous 6-part fugue. Having met in Alexandra Pohran-Dawkins’ improvisation class at the University of Victoria School of Music, these emerging musicians are ready to show what they’ve got! Dominic Thibault (clarinet), Kelsey Wheatley (voice), and Sean Maynard (saxophone) will be presenting and evening of improvised music. Come join us for an inspiring evening of music and support some of Victoria’s emerging talents. Also at this event, we will be hosting the official opening of Steve Bjørnson’s Roomtone, an interactive sound installation currently inhabiting Open Space’s listening room. Roomtone is currently available to be experienced during Open Space’s public hours from April 10 till May 28. This international smash-hit may be the most popular musical in the world. Set in early 19th-century France, it is the story of Jean Valjean, a French peasant, and his quest for redemption after serving nineteen years in jail for having stolen a loaf of bread. Valjean breaks his parole and starts his life anew after a kindly bishop inspires him by a tremendous act of mercy, but he is relentlessly tracked down by a police inspector named Javert. Along the way, Valjean and a slew of characters are swept into a revolutionary period in France, where a group of young idealists make their last stand at a street barricade. May 3, St. Mary the Virgin, 1701 Elgin Rd. To celebrate its 40th season, Four Seasons Musical Theatre has assembled an award winning production team for its most ambitious project to date. In a faraway kingdom turned upside down, things get ugly when an unseemly ogre – not a handsome prince – shows up to rescue a feisty princess. Throw in an overly talkative donkey, a bad guy with a short temper, a cookie with an attitude, and a dozen other fairy tale misfits, and you’ve got the kind of mess that calls for a real hero. Luckily, there’s one on hand…and his name is Shrek. Full of all-new songs, great dancing and breathtaking scenery. Shrek is part romance, part twisted comedic fairy tale and all irreverent fun for everyone! Explore Wolfgang Amadeus Mozart with a morning of music, tea and insight into the fascinating life of one of the most prolific and influential composers. Tea, coffee and sundries, followed by discussion, analysis and a full performance of Mozart String Quartet K.”575 are included in the morning’s program. Renowned conductor and musical educator Maestro Timothy Vernon will host the event. He is the founding Artistic Director of Pacific Opera Victoria and has conducted every major orchestra and Opera company in Canada. Maestro Vernon has been honored for his work by receiving The Order Of Canada. Voice ++ at Open Space March 19-22 2015 in Victoria BC. Ligeti Festival celebrates composer’s centenary in Victoria BC. March 21-29 2014.